Our 2014 Oktoberfest was fun for all. Great music from the Little German Band and lots of dancing. We watched German folk dancing and listened to many a tune, then it was audience participation time. Everyone seemed to enjoy the chance to get up and dance or join in a procession around the room and dance floor. Were you there? A special thanks to the many hands that joined in to decorate, prepare the food, and serve. Have ideas to make next year’s event even better? 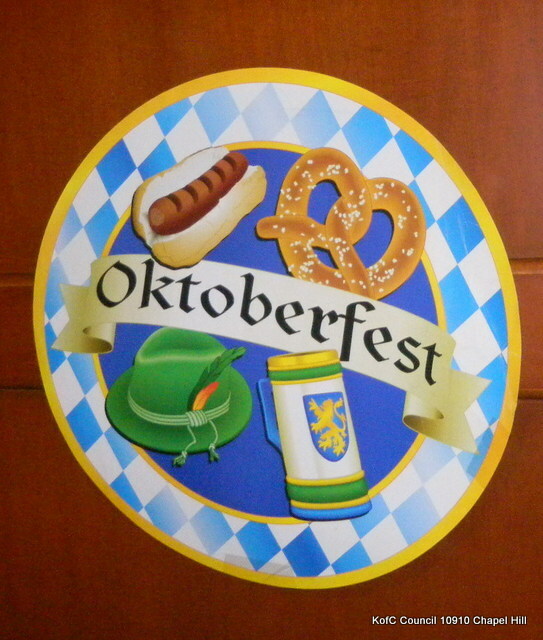 Share your ideas and volunteer to be part of the organizational team for Oktoberfest 2015. This entry was posted in Catholic Daughters Chapel Hill NC, Chapel Hill Knights, Council activities and tagged Little German Band by KofC10910. Bookmark the permalink.